A new report says Canada should ban two antibacterial chemicals which are found in a host of consumer products ranging from hand soaps to plastic food containers. Canada should ban two antibacterial chemicals used in a host of consumer products and accumulating in the waters of the Great Lakes, a report issued Thursday said. The report, from the Canadian Environmental Law Association, also suggested Canada, the United States and all provinces and states bordering the Great Lakes should prohibit use of the chemicals and assess proposed alternatives before they are used. The two products are triclosan and triclocarban, which are used alone and together in products such as toothpaste, body washes, bar soap and clothing. The chemicals are even found in yoga mats. 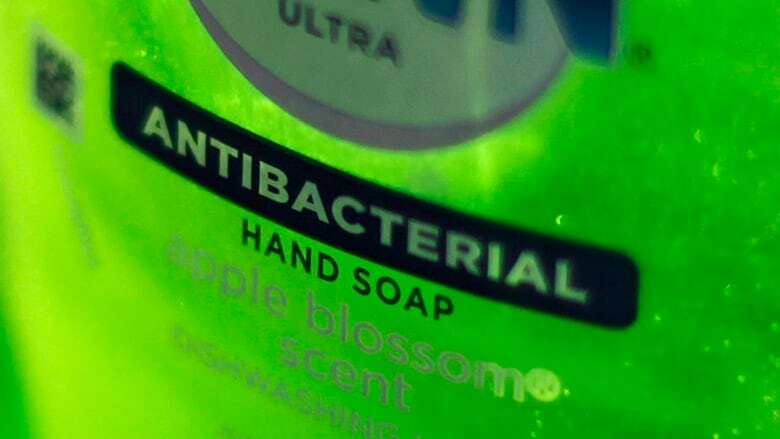 Late last year the U.S. Food and Drug Administration announced it was reconsidering the safety of antibacterial soaps and other antibacterial personal care products because of concerns the chemicals may disrupt human hormones and contribute to the development of antibiotic resistance. And in May, Minnesota made headlines when it banned triclosan. The report called triclosan a chemical of high concern and triclocarban a chemical that should be replaced with safer alternatives. Those rankings were based on an analysis the group conducted using a tool called the GreenScreen assessment. It measures a chemical's impact against 18 human health and environmental criteria, such as whether there is evidence they cause reproductive toxicity, endocrine activity, eye irritation or skin sensitivity. It also looks at whether the chemicals are flammable and whether they accumulate in the environment. Bev Thorpe, of Clean Production Action, the organization that hosts the GreenScreen assessment tool, explained the analysis outcome for triclosan. "This chemical is highly toxic to organisms in ... receiving waters and also persistent and bioaccumulative in the environment, as well as having endocrine active properties (in humans)," Thorpe said during a briefing on the report. "And it's also very high hazard for acute and systemic toxicity for humans." Roughly 1,600 products containing triclosan are sold in Canada, with another 130 personal care products containing the antibacterial chemical regulated as drug products. Two years ago the federal government released a preliminary report on triclosan. It concluded the chemical is not harmful to human health but in significant amounts can cause harm to the environment. Peter Kent, who was then the federal environment minister, said at the time that the government would begin discussions with industry to encourage voluntary reductions of triclosan in products. Rolf Halden, director of the Center for Environmental Security at the Biodesign Institute at Arizona State University, said these chemicals are not particularly effective for the advertised purpose when they are added to consumer products. But given the amounts of them in use, they enter the water cycle and are discovered virtually everywhere. Thorpe agreed. "When you look at the fact that triclocarban and triclosan are used in a lot of personal care products, cosmetics and soaps, all of these chemicals are eventually flushed down the drain. You can see why these are not a good choice to be putting into consumer products." Halden suggested that what gets into the water cycle eventually gets back to people. He noted that 97 per cent of breast milk samples tested in a study contained the chemicals. Fe de Leon, a researcher with the Canadian Environmental Law Association, said government action is needed. "It really should not be left to the consumers to try to avoid these products, especially given that there is very little benefit to using them," she said.